An internal federal report inferring that Canada’s middle class is wearing rose-coloured glasses may have some advisors rethinking how they serve their retail clients. 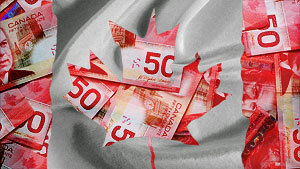 The Conservative report – prepared last October by experts in Employment and Social Development Canada, the department that runs income-support programs including the employee insurance – says the Canadian dream is “a myth more than a reality,” reported the Canadian Press on Monday. The report – obtained by the Canadian Press under the Access to Information Act – was prepared over three years – emphasizing that middle-class families have seen their earnings rise an average of just 1.7 per cent a year over 15 years ending in 2007. The report – which does not take into account the 2008 global recession – also references debt, inferring that many in Canada’s middle class live beyond their means and spend more than they earn. Despite the current federal budget acknowledging the need to create millions of jobs and workplace training, the report suggests that the middle class are not adequately compensated by the market and receive less government support in areas including employment insurance benefits. “As a result, they get an increasingly smaller share of the earning’s pie” compared with higher-income families,” it says. The Conservatives have said Canada is in relative economic stability compared to other industrialized countries, with various tax cuts for “average” families implemented since 2006. Client debt: Your latest roadblock?